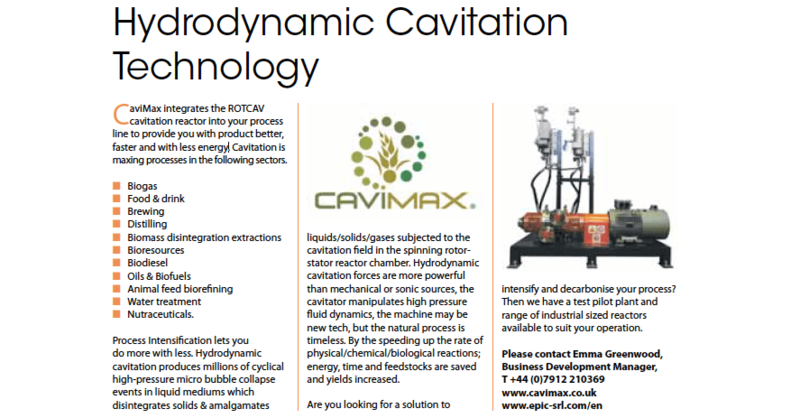 Industrial process news magazine published an article about Cavimax and ROTOCAV hydrodynamic cavitator: Cavimax integrates the ROTOCAV cavitation reactor into process lines to provide better products, faster and with less energy. The hydrodynamic cavitator can be installed in different applications, biogas, food and drink, brewing, distilling, biomass disintegration, bioresources, biodiesel, oil and biofuels, animal feed, water treatment and nutraceutical industry. Energy, time and feedstocks are saved and yields increased! Read the extract from the article Hydrodynamic Cavitation Technology. 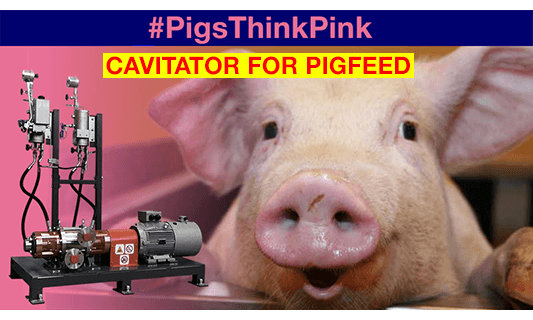 Optimal and complete digestion of pigfeed with our ROTOCAV hydrodynamic cavitator: much more homogeneous and appealing pigfeed, together with increase of yields. 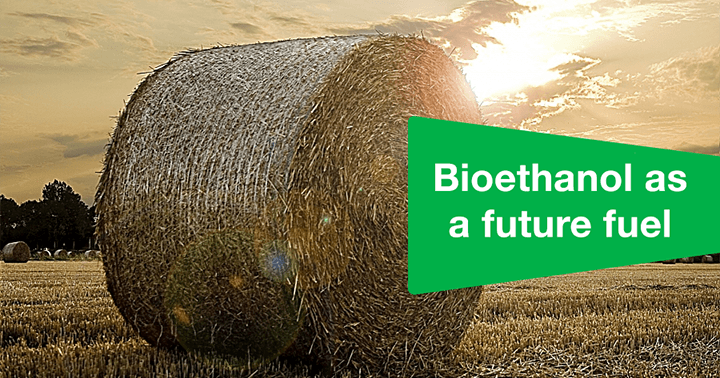 More homogeneous and digestible pigfeed thanks to hydrodynamic cavitation, which disgregates biomasses and silages, ensuring the same amount of nutrients for all the pig farm. Moreover, the ROTOCAV hydrodynamic cavitator can control the size of the solids, avoiding too large or too small particles, achieving also maximum harvests. Polyphenols are compounds that have antioxidant properties: found in natural plant food sources, such as vegetables, fruits, tea, wine, etc., there are thousands of different types of polyphenols. These compounds are very important for human health, as they protect our cells from free radical damage, which can lead to tissue degradation. We tested at E-PIC S.r.l. the extraction of polyphenols from grape seeds resulting from the cold pressing for oil extraction. After the traditional cold pressing step, the resulting oil contains only 262 mg/kg of total polyphenols. 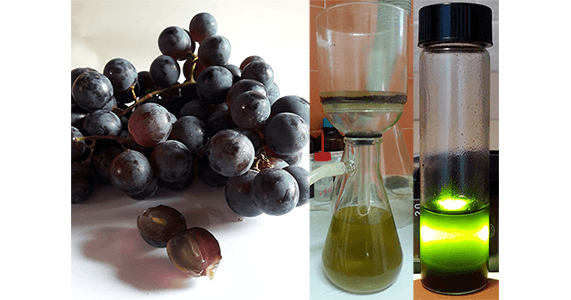 By feeding the solid matrix resulting from the cold pressing of the grape seeds to the ROTOCAV hydrodynamic cavitator we obtained an oily phase with 11.600 mg/kg of total polyphenols and a solid settled phase with 24.900 mg/kg of total polyphenols! This is another example of extracting high value products from wastes! Starch is a polysaccharide consisting of glucose units and glycosidic bonds. It can be found in green plants and it is contained in large amounts in staple foods like potatoes, wheat, barley, corn, rice and manioc. Starch can be used for non-food applications, such as an adhesive in the papermaking process, as an additive for food processing (thickeners and stabilizers), as an excipient in the pharmaceutical industry and in many other industries. Our tests on the ROTOCAV hydrodynamic cavitator show that extraction of starch from corn fibers is possible in one single passage. Quantitative analyses were performed on collected samples by an external laboratory, qualitative iodine tests were performed during the tests. 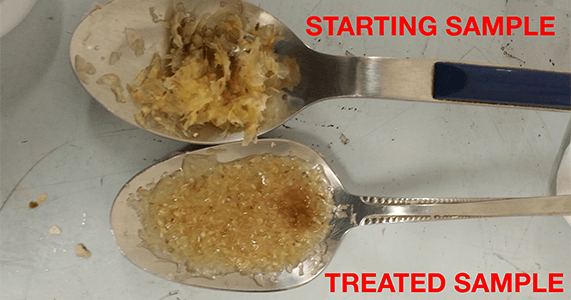 The mechanical effect of cavitation promotes a greater penetration of water into the structure of the corn fibers, increasing the release of starch and proteins. The generation of local heat during the bubble collapse also increases the diffusion of the extract. 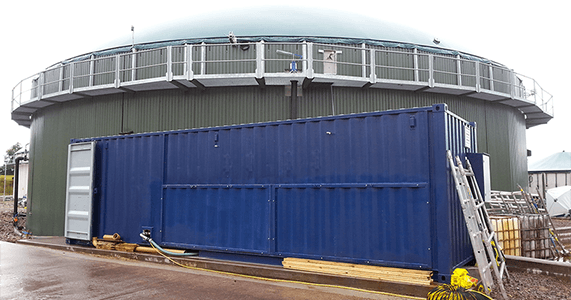 Install our hydrodynamic cavitators next to your biogas plant and increase your biogas and biomethane production: unlock the potential of your existing plant! Powerful controlled hydrodynamic cavitation means no more floating layers and superficial solid crusts, lower amount of hydrogen sulfide, effective disintegration of biomass and organic lumps, lower viscosity and less power required to pump and mix the digestate, decreased retention time of biomasses. A Cavimax plug and play unit with our cavitators is ready to be installed and operated, all the parameters are remotely monitored, so to always have the maximum performances of your digesters! No more complex ultrasounds systems and generators to disintegrate the biomass, fit our ROTOCAV and instantly intensify your biogas plant! Because of its high content of cellulose, wheat straw is a good raw material for bioethanol production. ROTOCAV hydrodynamic cavitational treatment disrupts the lignocellulosic matrix of wheat straw and maximize sugars yields. In the frame of H2020 Project US4 GREENCHEM we performed some preliminary tests and the results showed that cavitational pretreatments carried out with ROTOCAV are competitive with the traditional steam explosion process! No more high pressure equipment and safer operation! Results will be presented at 4th INTERNATIONAL CONGRESS ON CATALYSIS FOR BIOREFINERIES - 11-15 December 2017, Lyon, France.